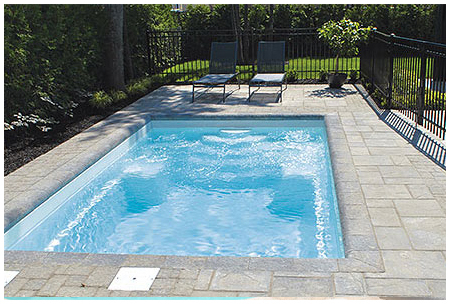 We are specialized in the sale and installation of Fibco's one piece inground fiberglass pool. Each of our creations are unique and made according to your specifications. Our landscaping designs are among the most innovative in the Ottawa region. We tailor-make gardens, sidewalks and patios. A pergola creates visual interest and adds a soft flowing effect and a romantic appeal to your landscape while providing even more protection from the elements, a definite advantage over an open patio. No matter what style you're looking for, our team will be able to build the right one to add that special touch to your yard. Looking for ideas for your own landscaping project? Let our photo galleries of our previous projects inspire you! Don't wait; request a free online-quote! Just fill in the form and our representative will get in contact with you shortly. Welcome and enjoy the artistic designs of our landscaping company. Our expertise and one of a kind custom designs will make your landscaping dreams become a reality. G. Robert Landscape and Design has been offering professional residential landscape services since 1986 in the Ottawa-Carleton region and surrounding areas. We take pride in the quality of our work, attention to detail and developing personal relationships with our clients. 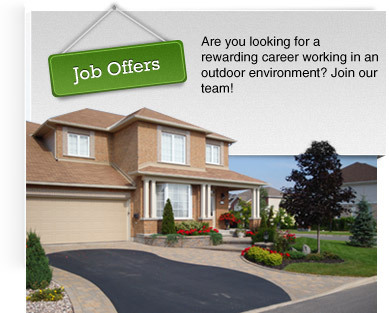 We offer all types of landscaping services in a professional and timely manner. Take the time to browse through our photo gallery and let our professional creative designs take life. We are member of BBB (Better business bureau) and landscape Ontario.